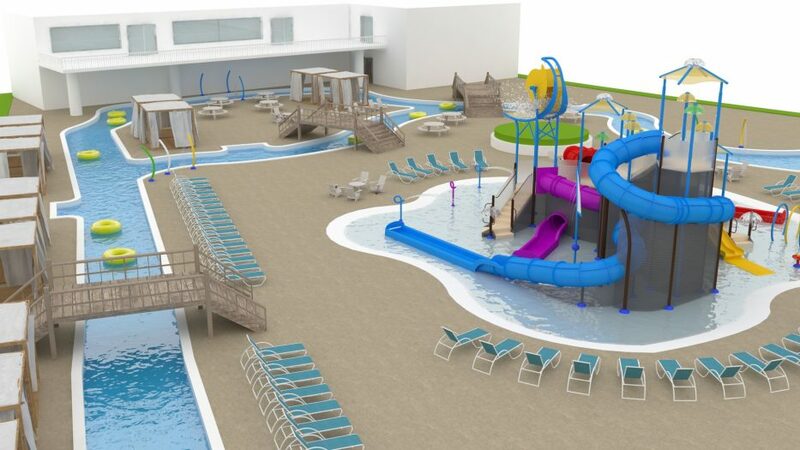 Designed for a space of only 2.5 acres, this water park concept is packed with thrill rides that are sure to please everyone in the family. 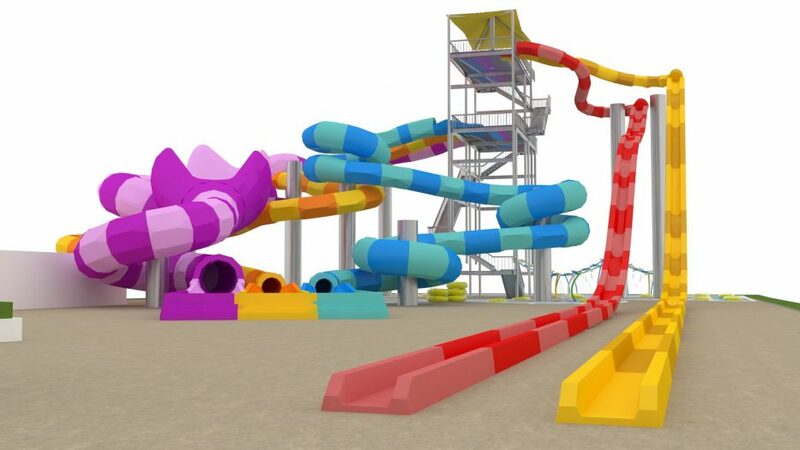 Standing high above the park, two twin body slides race 58 feet down a slide structure that supports multiple additional slides. 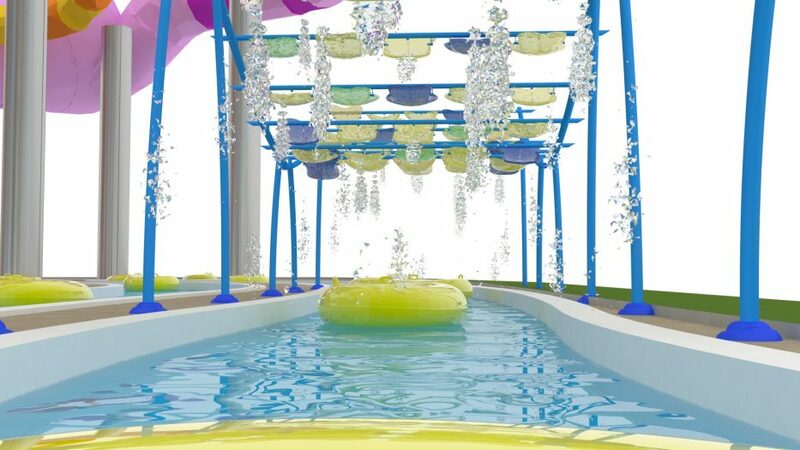 At the base of the structure, a turning water wheel delights younger children who splash among the other spraying water play elements. 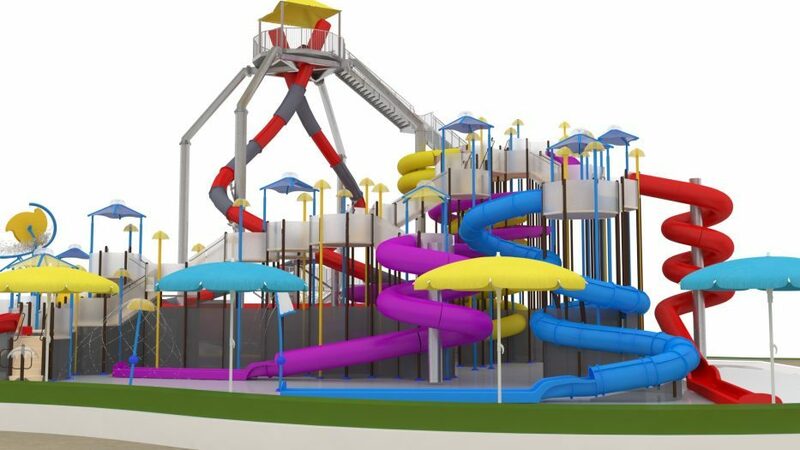 A second slide tower offers more water slides, including one that deposits riders into a curving lazy river that winds its way around the slide structure. 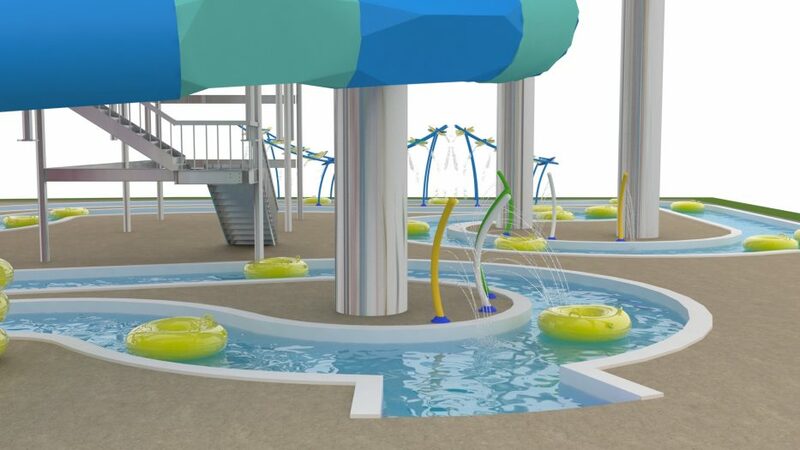 Not only does the configuration of the river provide more shade for the guests rafting down the river, but it also allows more spray elements to sprinkle riders as they float by.